CYP1A2 is involved to a major extent in the metabolism of several drugs (imipramine, clozapine, fluvoxamine, olanzapine, theophylline, acetaminophen, propranolol, and tacrine) as well as of diet components (methylxanthines), endogenous substrates (estrogens), numerous aryl, aromatic and heterocyclic amines, and polycyclic aromatic hydrocarbons. It is inducible, notably by cigarette smoking, diet habits such as consumption of cruciferous vegetables (e.g., broccoli, watercress, collard greens, Brussels sprouts, and mustard) and of charbroiled meats, some drugs (omeprazole, phenytoin, and rifampicin) and is a target enzyme for the development of some cancers. Up to now, more than 25 CYP1A2 alleles have been detected. Probe drugs for CYP1A2 phenotyping are caffeine and theophylline. For safety concerns and drug availability, the preferred probe is caffeine. Caffeine 3-demethylation is mediated by CYP1A2, and accounts for 80% of caffeine clearance. Caffeine is also a probe drug for N-acetyltransferase and xanthine oxidase (Clin Pharmacol Ther 53:203–514, 1993). 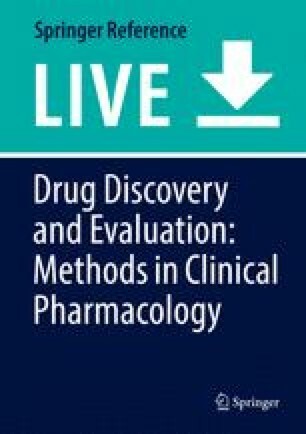 The understanding of the role of pharmacogenetics in drug metabolism expanded greatly in the 1990s. This is mainly due to technological improvements in gene scanning and gene variant identification. The number of variant alleles identified for genes coding for drug metabolizing enzymes (DME) considerably increased in the early 2000s, and continues to increase. The clinical consequences – or at least genotyping–phenotyping relationships – of DME polymorphisms have not been demonstrated for all variants. In the text below, only those DME allele variants will be mentioned for which significant changes in enzyme activity have been found using probe drugs. Comprehensive information on the nomenclature of cytochrome P450 (CYP) alleles can be found at www.imm.ki.se/CYPalleles and Phase I and Phase II DMEs at www.pharmgkb.org/index.jsp.